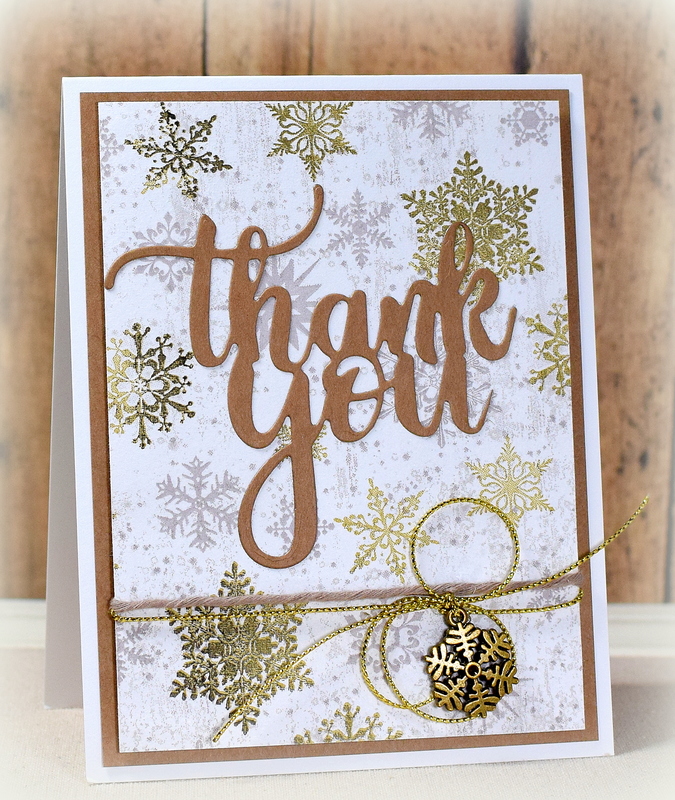 Winter Napkin Card | I Played With Paper Today! I added a die cut greeting and some yarn, gold cord and a metallic snowflake charm to the panel to finish it off. Oh what fun it is to use something as simple yet exciting as a napkin. I remember doing this as a little girl with my grandmother but I think we used freezer paper and an iron. Beautiful gold napkin design. I love the snowflakes. I used to use freezer paper and an iron to do this as well.